First Jim Harbaugh, then…. Well, seems like the entire San Francisco 49ers roster is going, going, gone. Within the last week: Frank Gore announced intentions to head for Philadelphia, Colin Kaepernick is said to be on the trading block (a story that Jed York has already denied), defensive stalwarts Patrick Willis and Justin Smith rumored to retire, and the latest, offensive lineman Mike Iupati to sign with division-rival Arizona (note: that may seem like old news by the time you read this). That’s after completely overhauling the coaching staff. The 49ers are the team of confusion. In a mild defense of the “Kaep on the block” story, the truth is that anyone on any roster on any team is available to be traded for the right price, even if that price is exceedingly extravagant. Herschel Walker was a sure-fire Hall of Famer and there was no way the Dallas Cowboys would ever trade him. Except they did, got a boatload of picks, and won three Super Bowls within six years. The Los Angeles Dodgers traded slugger Matt Kemp within their own division. The Eagles just traded Shady McCoy, a top back by anyone’s definition. If the price is right, anyone can go. 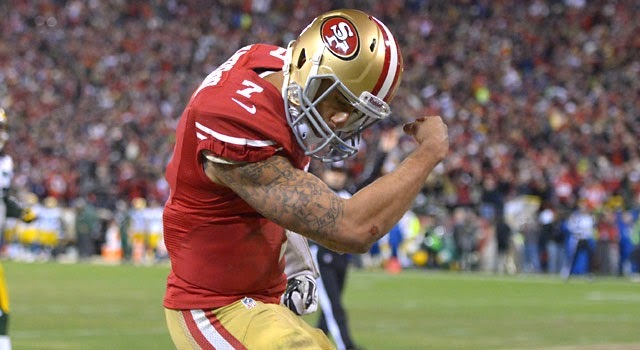 Kaep is on the block, just like Vernon Davis, just like Andrew Luck, just like Mike Trout, just like anybody. Anybody is tradeable for a price. There is no direct connection with Jim Harbaugh leaving and then all these moves. But that all these things are happening after Harbaugh left makes a fan wonder what is a-going on here. Mass hysteria? Not quite. Not yet. The nearest comparison to the 49ers is the baseball team in the East Bay, the Oakland Athletics. The A’s have 16 new key players. While many A’s fans wonder what’s going on, they are placated somewhat because this is what Trader Billy Beane does. Guys come and go. The truth is that every teams roster is very different from its roster five years ago. When it happens this quickly, it makes you wonder if the team is in disarray. The difference is that Beane has been a GM for more than a decade. He’s been successful at doing this for more than a decade. Trent Baalke has been 49ers GM four seasons. Jed York has no track record of being successful on his own. Actually, he is very successful at being seen as an ungrateful entitled punk. (Which makes this article all the more hilarious in retrospect.) He has already tried to distance himself from the Jerome Simpson signing, which is another strike in his "win with class" speech. If all these moves work, then York will become a genius. That’s just how the world works. Everyone’s a failure until proved a success. The issue is getting rid of people that have made a team a success and replacing them with…. Who knows? New head coach Jim Tomsula could be the next Vince Lombardi. But he could also be the next Mike Singletary. Singletary was also a 49ers defensive line coach who became head coach without being a defensive coordinator first (Lombardi was a long-time coordinator who finally became head coach). Singletary was in over his head from day one. Fortunately, Jim Harbaugh was available and cleaned up the mess. This time, Harbaugh leaving was the first spill in a mess that seems to get bigger and bigger every day. It doesn’t seem like anyone in the 49ers organization has the stomach to clean it up right now. 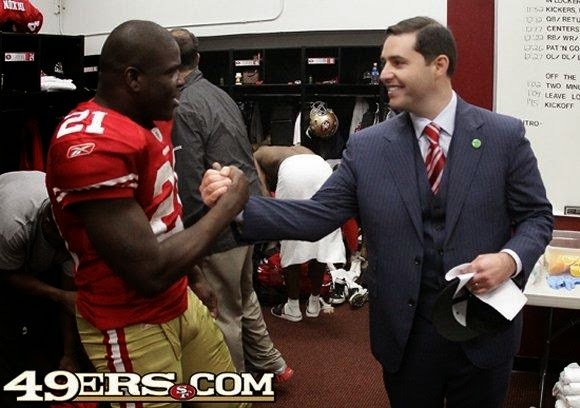 So far, no 49ers off-season move has seemed like the right one to me and countless other 49er fans. Jed York thinks they’ve all been the right moves. And for me, that’s problem number one.